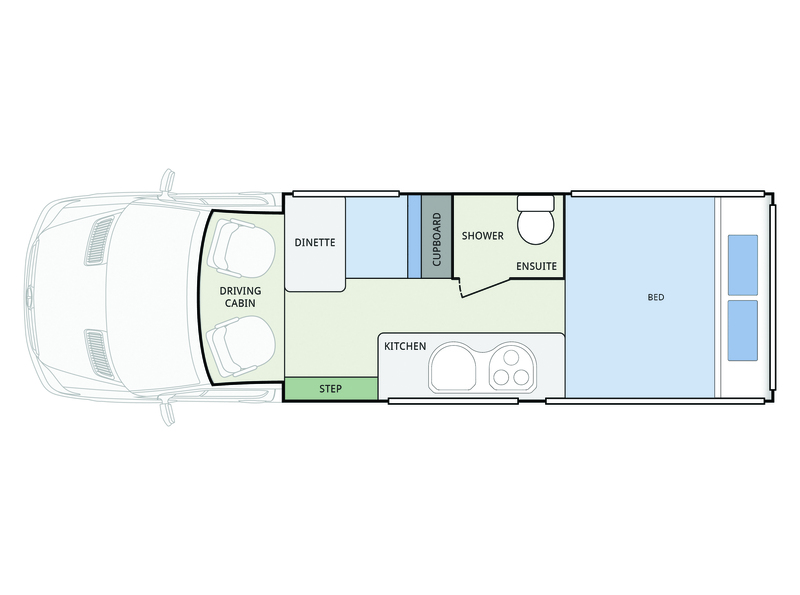 The Winnebago Bondi encompasses all the elements essential to great Australian on-road living. Fully self-contained, luxurious and a pleasure to drive, the Bondi is built to withstand Australian roads – and no destination is out of reach. The Bondi’s highly functional kitchenette, ample living/dining areas, a quality bathroom including shower and toilet and generous bedroom for two mean you will never be without your creature comforts. Immaculate fittings and fixtures provide you with totally independent, self-sufficient touring.